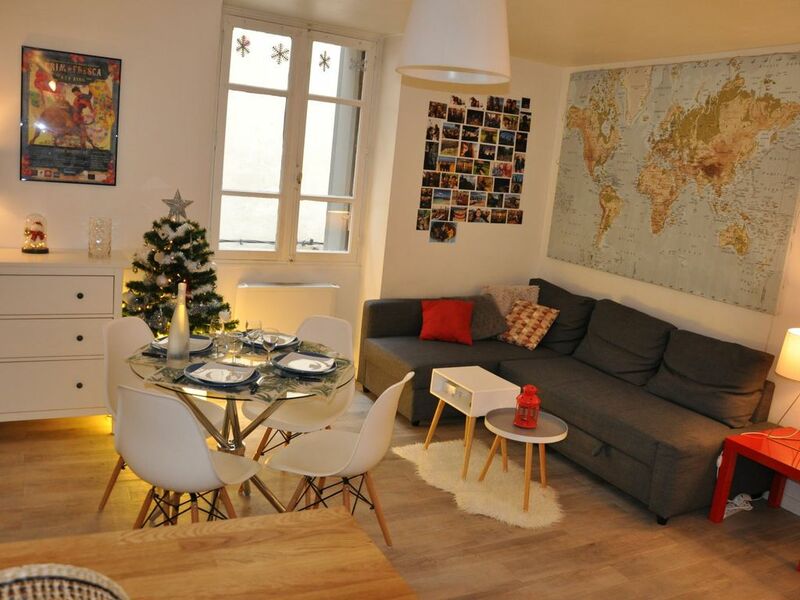 Apartment completely renovated in a warm and contemporary style. It has all the comforts and equipment necessary for both short and long stays. It is a T3 apartment of 56m² perfectly optimized for 4 people, with 2 large bedrooms, an open kitchen and a bathroom with Italian shower. The establishment in the heart of the crest, 100m from the Arena, in the pedestrian center of Nîmes (between the square house and the bullring) is perfect for the discovery of the historic city and Roman monuments. Great location within easy walk of the train station, tourist sights, and shopping. The apartment was clean and cheerful and we enjoyed our stay. Two things to be aware of: access to this second floor apartment would be difficult for those with mobility problems and guests will need to have some facility with the French language in order to communicate with the owner and property manager.